The market is crowded with all sorts of dual band routers that seem more or less like quality products. 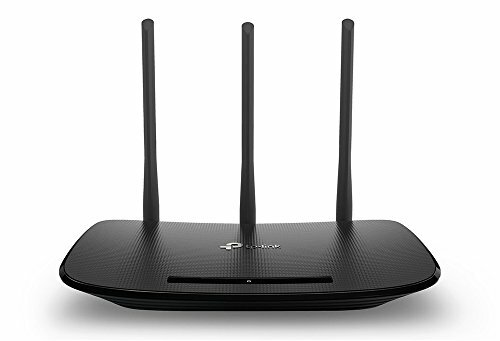 My pick for the best dual band router is ASUS RT-ACRH13, a very well received device in the WiFi world. A lightning fast Wi-Fi, improved Wi-Fi Range, MU-MIMO and a quad-core processor ar just a few of the goodies that are contained within this AC1300 Dual-Band Gigabit Wi-Fi router. For reliable speed that can handle multiple devices simultaneously, the RT-ACRH13 is equipped with MU-MIMO technology and generous 128 MB of memory. You can enjoy the fastest speeds while also eliminating the need to wait for sequential transmissions. Some improvements of the WAN to LAN speed are also due to the powerful A7 quad-core processor that can significantly help to keep the responsiveness of your network during some more bandwidth-intensive tasks. Thanks to 5 dbi high-performance antennas on RT-ACRH13, you shouldn’t run into any problems with the Wi-Fi range even if you own a very big house. Besides the long operating range, the performance overall of the router is great especially when streaming as it can handle without any interruptions Ultra HD 4K videos. It also offers support for online gaming ensuring compatibility with the latest gen consoles like the PlayStation 4 or Xbox One. 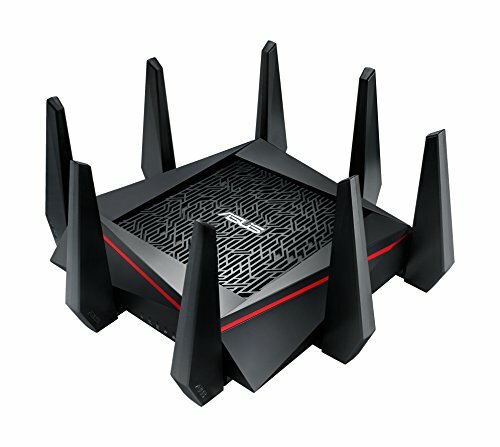 Asus offers quite a lot in terms of ease of interaction with the router. It provides a web-based interface to simplify the router setup process and a handy Router App for your smartphone to monitor and manage your network more conveniently. To resolve any issues that alter your bandwidth, switching between 2.4 and 5 GHz bands happens automatically thanks to ASUS Smart Connect. 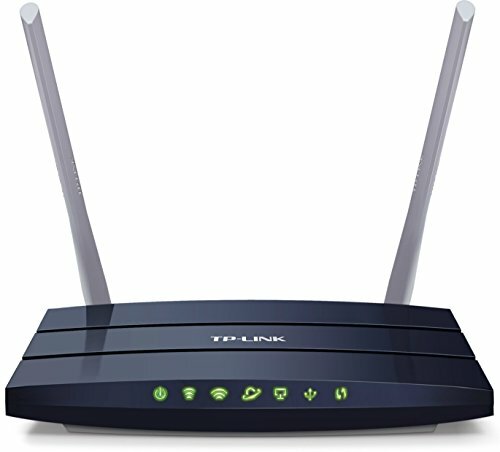 Considering all these great features, the RT-ACRH13 router delivers a powerful and seamless Wi-Fi experience and for these reasons I fully recommended it. The price is more than fair too so very strong bang for your buck. TP-Link Archer C1200 represents a valuable item that can cover all your Wi-Fi needs fast and reliable. It supports the new 802.11ac standard for Wi-Fi routers and has some interesting features worth considering if you are in the market for such a device. The Archer C1200 was built to enhance your wireless network and take it to the next level thanks to high-speed 1200Mbps dual band Wi-Fi. It doesn’t matter whether you play games or stream content, your connections should be much faster and clearer than ever. TP-Link offers 4 Gigabit Ethernet ports for this model which makes for a decent wired connectivity for all your entertainment needs. You can easily connect a smart TV, a PC or a gaming console for more flawless HD action. There is also an USB port that simplifies the process of sharing all kinds of files across your network. To increase as much as possible the coverage capabilities for all your Wi-Fi needs, the Archer C1200 comes equipped with three antennas for the best connectivity with fewer problems and interruptions. This allows quite large homes to benefit from stable wireless connections to be able to get any job done without any disruptive interference. The processor of this router is suitable for intensive tasks, seamlessly balancing the demands of your devices in a way to keep the connection stable permanently. Other important aspects about this router are the easy firmware updates managed through the router’s web UI, an intuitive mobile interface thanks to the TP-Link Tether App. TP-Link is one of the leading brands in the industry and it’s no surprise to find plenty of their products in this article because it’s overall a very balanced choice that can definitely satisfy most Wi-Fi needs. If you are looking for the best product to supply the Wi-Fi in your home then look no further then the N450 wireless Wi-Fi router from TP-Link. It provides an optimal wireless performance which makes it ideal for VoIP, online gaming, and streaming HD video. In terms of speed, it stands very well, complying with the IEEE 802.11n standard, this router is 18X faster and has a 6X the range of conventional 11g products which is impressive. Considering the 450Mbps transmission rates, the TL-WR940N has excellent abilities for mitigating data loss over long distances and also through obstacles – this is especially useful in a very large house. Sharing files like music, videos or images over your network can be done using the 4 Fast Ethernet ports. With the superb wireless performance, the days when you had lag during bandwidth intensive applications are over. The connection is smooth in online games and also during HD streaming. For safety, this router uses the WPA/WPA2 encryption standards and when it comes to the ease of installation, TP-Link made some extra efforts to simplify things. By pressing one button, the ‘WPS’ button, you can instantly set up Wi-Fi connections. The user interface of the setup has been optimized and in just some simple steps you will be able to get ‘online’ as fast as possible. To keep children safe the router comes equipped with parental controls which enable you to set certain limits about your network. With IP-base QoS you can also control traffic and give every device the much-needed bandwidth. TP-Link has quite of a history of delivering high-quality and maximum performance regarding their Wi-Fi routers and the TL-WR940N is no exception. It also has a reasonably affordable price tag to cover all your everyday Wi-Fi needs without feeling like going over your budget. If you are searching for the best N router out there, the choices can be pretty diverse and you might easily get overwhelmed. The reason I went with the NETGEAR WNDR4300 as the best router for this category is perfectly straightforward. It’s simply perfect for medium to large homes and multiple connected devices and is really as fast as advertised. Nowadays you can unexpectedly find yourself in a position where you require better Wi-Fi and decide the time has come for an upgrade. The WNDR4300 can handle lots of devices connected at the same time without any interruptions. It uses dual-band technology for reducing interferences and reaches speeds of up to 750Mbps (300+450). Coupled with the fact that it’s Gigabit wired ideal for HD gaming and video, then basically everything is in place for a truly fast connected home. One great aspect about this router is its reliability. Losing your connection in the middle of something important can be awfully frustrating. But NETGEAR incorporated the best-in-class technology and advanced features in this router to prevent interruptions and reduce interference as much as possible. If you are the kind of person that doesn’t really have a lot of experience with this kind of devices then rest assured because NETGEAR will lend a hand to ensure an easy install on all kinds of devices from computers to tablets and smartphones. Thanks to the NETGEAR genie App you can monitor, control and repair any aspect of your home network from your own personal dashboard. If security is a concern for you, WNDR4300 maintains yours and your family’s privacy online and helps to prevent phishing. In case you decide to limit access for kids or guests than NETGEAR has taken care of that too. Sharing across your network is fun and made simple by the router’s ReadyShare USB access which permits sharing wirelessly USB hard drives via one USB 2.0 port. Finding a flaw with this router is very difficult when looking at the amazing value it provides for the price you have to pay. Definitely one of the best buys out there. 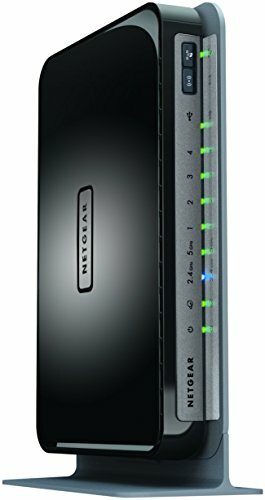 NETGEAR is one of the leading brands also in the gaming sector of Wi-Fi routers. And so for this category, the best choice is the Nighthawk X4 Ultimate Gaming router and in the following review, I’m going to give you some reasons why you shouldn’t pass on this powerful device if you are on the market for a gaming router. Relying on the Quad-Stream X4 Architecture that brings the next generation of Wi-Fi to masses, this router delivers the single fastest Wi-Fi connection available, up to 1.73Gbps on the 5GHz Band and 600Mbps for a combined speed of 2.33 Gbps. Reducing lag and buffering while gaming or streaming is a high-priority and to tackle this issue this router uses Dynamic QoS which intelligently allocates bandwidth to the most important activities in your home. When you have some intensive network applications running you need some strong performance to handle it all. A 1.4GHz dual-core processor was provided exactly for that matter. Connecting external storage is possible thanks to the twin USB 3.0 ports and the eSATA port. This way you can enjoy fast wireless access to your hard drives from virtually anywhere. The ReadyShare Vault PC software is a handy tool to keep your data safe as is scheduling automatic backups to safeguard all your precious files from the PC to the connected USB storage. NETGEAR routers like this one use Multi-User MIMO technology for streaming data simultaneously to multiple devices. With this technology, downloads are faster and the streaming is smoother for all the MU-MIMO connected devices. Just for the speed and performance alone, the Nighthawk X4 is worth it but in case that isn’t enough, the router has also excellent Wi-Fi range to cover very large homes with the help of 4 high-performance external antennas and high-powered amplifiers. Another important feature is the ease of use which is one of NETGEAR’s specialties as it offers easy setup and advanced management through the genie App and let’s not forget about security. The Nighthawk X4 has VPN support, parental controls, guest network access and open source support along secure Wi-Fi connections with WPA/WPA2. Overall, this router will satisfy any gamer’s desire for the best performance and reliability and a lag free experience with their network connection. Looking around the vast selection of Wi-Fi routers currently on the market and choosing the best one for the money was definitely a daunting task. But I am happy with this decision and I think you would be too if you end up purchasing it. I am talking about the Linksys Max Stream EA7300 Dual-Band Smart Wireless Router equipped with MU-MIMO technology. It’s not an everyday occurrence when you stumble upon such a rich featured device with such an affordable price tag. Everyone wants a fast, lag-free Wi-Fi connection and Linksys delivers that on multiple devices with no issues. The combined dual-band speeds amount to 1.7 Gbps which is more than enough for intense online gaming and can handle 4K streaming. Linksys implemented in this model the new cutting-edge technologies of the next generation of AC Wi-Fi which makes it possible for more devices to receive the same high-speed Wi-Fi simultaneously. Paired with the MU-MIMO technology, this router basically manages in the toughest situations of high-bandwidth online activities. The range of the Wi-Fi is pretty good for normal and intensive usage as the device comes equipped with three external antennas which broadcast a powerful and reliable signal. But if this is not enough for you and for some reason you are in need for an especially constant Wi-Fi signal throughout your entire household you might also consider getting a Range Extender from Linksys that extends the signal much farther to enjoy a seamless Wi-Fi experience. Linksys Max Stream EA7300 has a dual core processor for the fastest rates of data transfer between devices and has been designed to manage your network traffic and make adjustments for the most optimized performance. If customization is an important aspect for you, there is a very intuitive app created to give you the tools to easily manage your network more conveniently. As such you can get real-time info about your home Wi-Fi, set parental controls or do some prioritization for your devices. 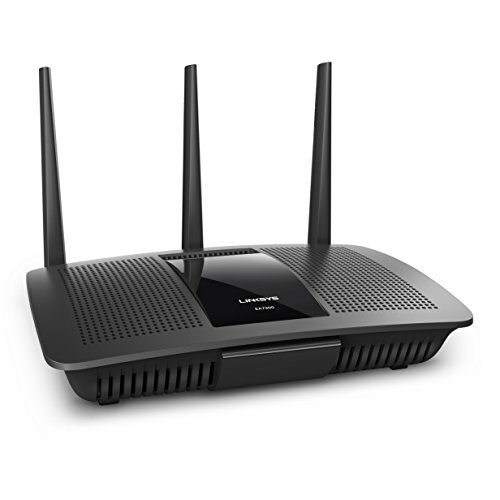 Considering the multitude of features and the overall high-quality of this router, if you can’t decide which wireless device is for you, then maybe you could try the Linksys Max Stream EA7300 which offers the absolute best value for money. For a superior long range Wi-Fi experience, Archer C9 from TP-Link comes out the best. And it’s easy to see how. It’s fast, performant and has a very long and reliable range so it can easily cover your entire home with a strong wireless signal. The Archer C9 is part of the next generation 11ac Wi-Fi standard which gives some great performance results when it comes to the speed of data transfer, 1.9Gbps (1.3Gbps + 600Mbps). 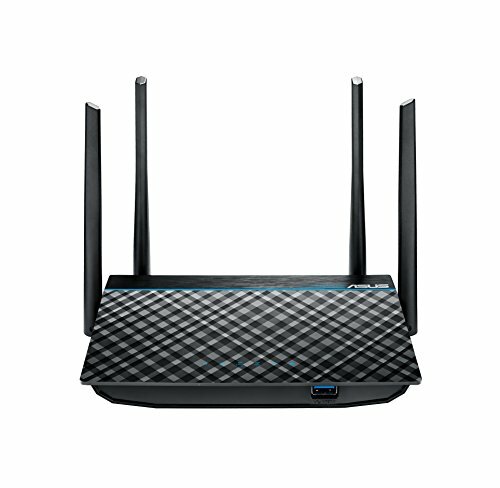 The Gigabit Wi-Fi and Gigabit wired connections allow for powerful connections ideal for streaming in HD or online gaming but the truly outstanding feature of this router is the great Wi-Fi coverage. The strong signal is ensured by three dual band antennas and to boost it as much as possible, the Archer C9 also has high-powered amplifiers. Beamforming is also present, helpful for concentrating the signal to where you need it the most for highly efficient Wi-Fi connections. Local sharing is possible with the aid of two USB ports, one 3.0 and the other 2.0. To access files stored on the router when you are away from home you can do that through the FTP server. An interesting aspect is the design of the device which is very pleasant and fit for any stylish home. Despite the elegance, there have been no compromises on the features of this router. The Archer C9 also provides guest network access, parental control and supports Ipv6, the next generation of Internet protocol. Adding to that list the easy setup done through a quick and hassle free installation and the tether app for convenient router managing with smart devices and you clearly have a winning combination. The Archer C9 can satisfy even the most demanding coverage needs and has all the speed and performance to be always up to the task of maintaining excellent network connections. Another TP-Link model makes this list, this time as the best wireless AC router. It’s not only about performance here but the affordability also has to be taken into account which is why this router is an excellent option for those who are on a budget and are looking for the fastest device they can get. The Archer C50 is part of this next generation Wi-Fi standard -802.11ac and as such is three times faster than N speeds. The combined data transfer amounts to a rate of up to 1.2Gbps which means this router will handle with no issues online gaming, HD streaming or other bandwidth-intensive activities. This router operates in dual-band mode which offers the great flexibility of having two dedicated networks. This means you can let the 2.4Ghz band handle simpler tasks like web browsing or sending emails and have the 5Ghz one work on the more intensive bandwidth-wise activities like gaming or streaming. The best part is that all these tasks will work simultaneously thanks to the performant and speedy capabilities of this router. 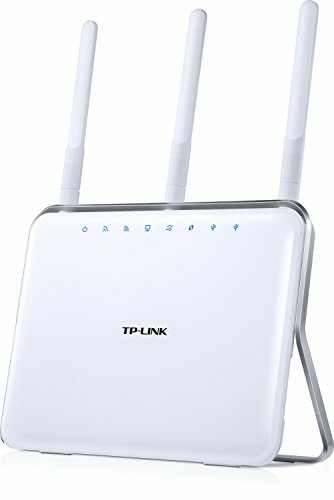 TP-Link Archer C50 has got you covered with two external dual band antennas which offer some decent range and speed even though is not as powerful in this regard when compared to the more expensive models. For storage and sharing, the Archer C50 possesses two USB 2.0 ports handy for transferring files and media across your local network. A fast wired network is achieved through one gigabit Internet port and four Ethernet ports. With the help of Quality of Service (QoS), you can assign bandwidth preferentially to those devices you use the most, a great thing if you like having more efficient control of your Wi-Fi traffic. Coming with support for Ipv6 and being very user-friendly thanks to an easy setup that can get the device running very quickly with the best wireless settings in a few minutes. To conclude, all these great features make from the Archer C50 an especially great choice for those in need of an affordable high-quality router that you know you can rely on delivering steady performance. If you are having trouble deciding which router should fill the spot for the best choice when it comes to streaming then you should definitely consider the Linksys Max Stream EA8500, a dual band wireless router powered by MU-MIMO technology and suited for working along Alexa. The single most important aspect when it comes to streaming is the ability to maintain smooth, uninterrupted network performance and for that to be possible you need fast data transfer rates. Linksys offers a combined value of 2.53 Gbps for the Max Stream EA8500 in terms of speed which is quite impressive indeed. Slow downloads and annoying buffering will be things of the past. Completed by MU-MIMO technology, even the most demanding streaming needs can be met. You can easily enjoy smooth performance even when multiple devices are streaming simultaneously. If you are gaming then this router can also satisfy your needs as it provides a lag-free experience with the help of its reliable 1.4 GHz dual-core processor and its 4 Gigabit Ethernet ports ideal for blazing-fast wired connections. Besides allowing everyone on your network to stay online at full speed, the Max Stream EA8500 also delivers just enough Wi-Fi range to cover even larger homes. In case you want to target Wi-Fi signals to a specific device the Beamforming technology incorporated in this router can help and thus you can increase in this way the efficiency of your network connections. For monitoring and managing of your home Wi-Fi, Linksys brings a very intuitive Smart App to the table. With it, you can set up guest access, modify parental controls settings or prioritize certain devices to receive more speed according to their needs. 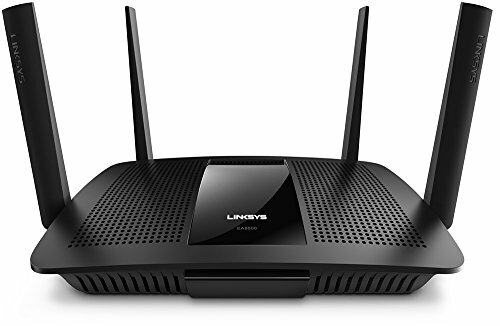 If you want to experience the latest in cutting-edge technology and enjoy some powerful and stable connection ideal for streaming huge amounts of data then I recommend the Linksys Max Stream EA8500. Coming from a well known trusted brand in the industry of routers, ASUS, this tri-band Wi-Fi Gigabit Router is pretty much the ultimate premium choice ideal for gamers and people who need a constant stable flow of wireless connectivity between multiple devices. But is a router like this worth it for gaming? Let’s see. ASUS implemented in this model the NitroQAM technology which delivers an outstanding combined Wi-Fi speed of 5334Mbps which basically means everyone on the network can enjoy a seamless experience when online gaming or streaming in 4K. ASUS RT-AC5300 offers great cross-platform compatibility ensuring the best bandwidth and coverage for multiple gaming devices like PCs, consoles, mobile devices, and also provides support for all operating systems including Linux. Thanks to adaptive QoS you can fully benefit from the ability to prioritize gaming packets and activities. A neat little function of this router called AiProtection will turn off unnecessary utilities during gaming like anti-virus programs and other 3rd party applications so that your game’s performance is enhanced as much as possible. RT-AC5300 is truly a power station of entertainment with the ability to handle an extremely large house and delivering Full HD streams to multiple devices at the same time. Because it plays well with Smart devices, this router will also contribute to a smarter home. The coverage is maintained by an unrivaled four transmit, four receive antenna design for improved Wi-Fi signal stability. With AiRadar beamforming focusing the signal where is needed, you will be able to get the fastest and the most crystal clear Wi-Fi anywhere. 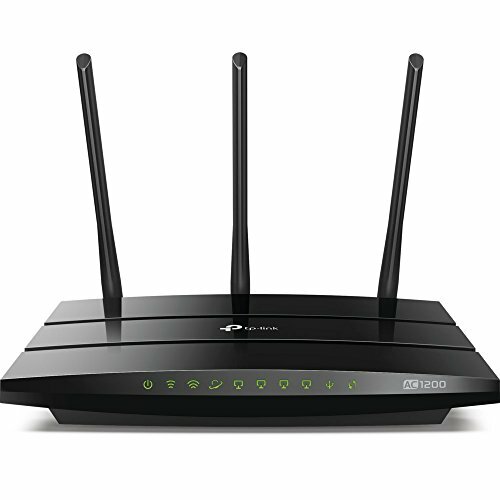 The RT-AC5300 uses three bands which basically equals to owning three routers in one body. No more interruptions, lags or buffering, a flawless Wi-Fi experience for everyone. Other features worth mentioning about this router are the top-of-the-line 1.4 GHz dual-core processor for extreme computational capability, the fast USB data transfer speed of over 100 MB/s and MU-MIMO technology for ensuring that each connected device has its own dedicated full-speed Wi-Fi connection. 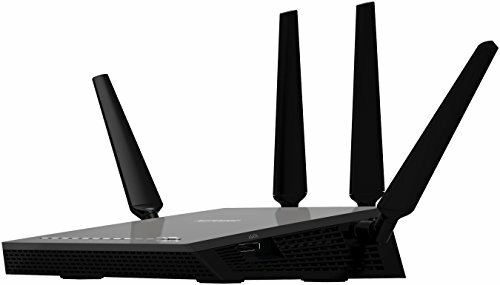 Considering the price range, this router is definitely not a fitting choice for every budget but still, if you are looking for the ultimate performance and reliable quality and intend to have a complex network which supports lots of devices then I fully recommend this powerful Wi-Fi router from ASUS.